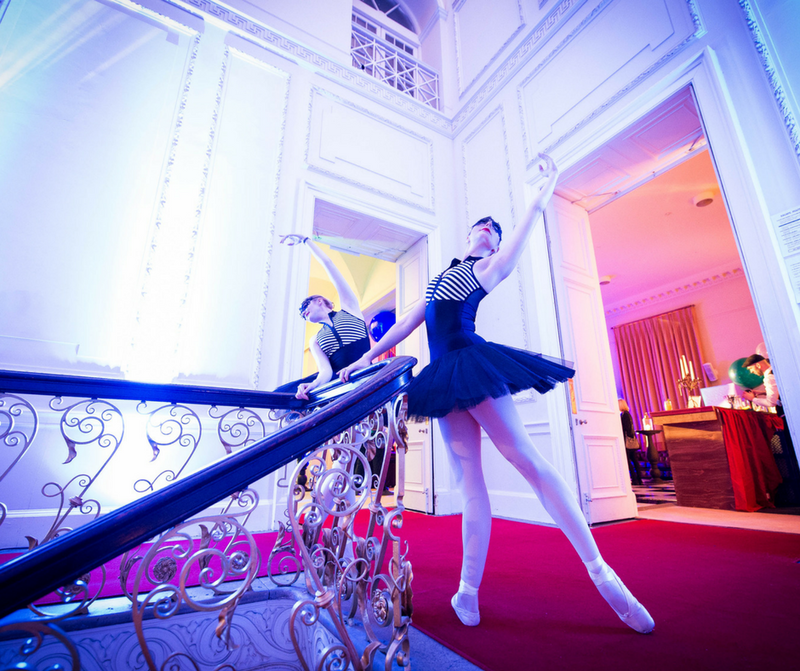 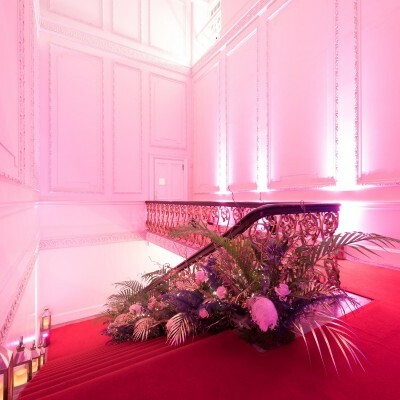 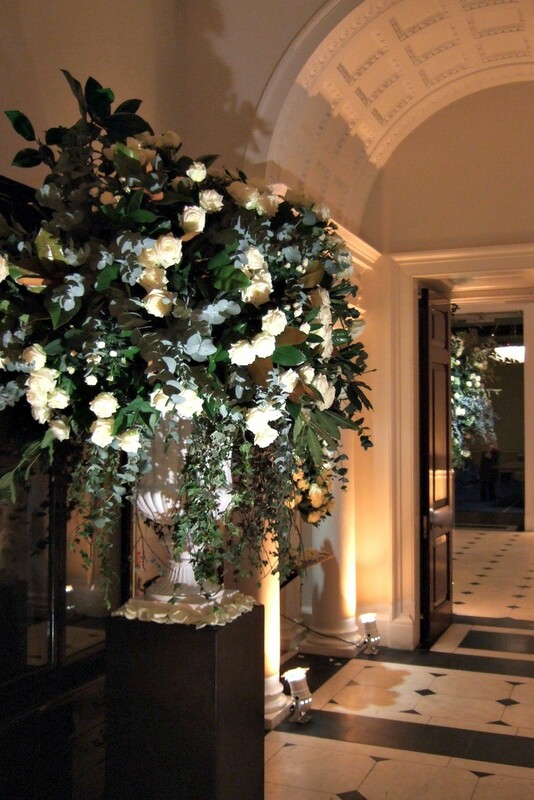 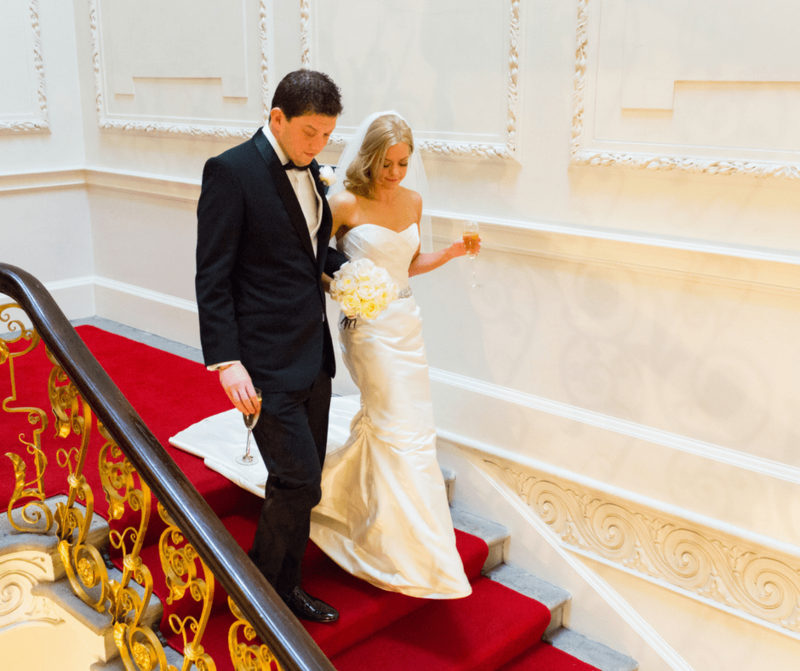 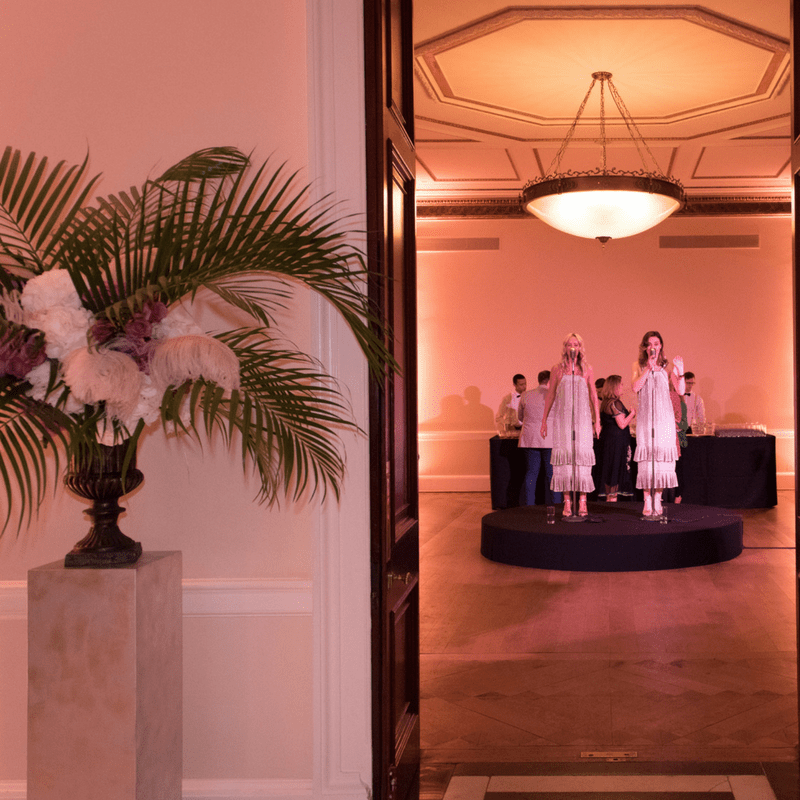 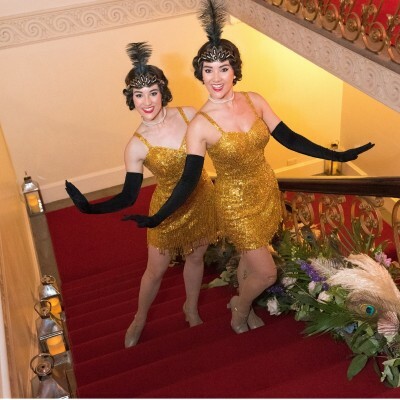 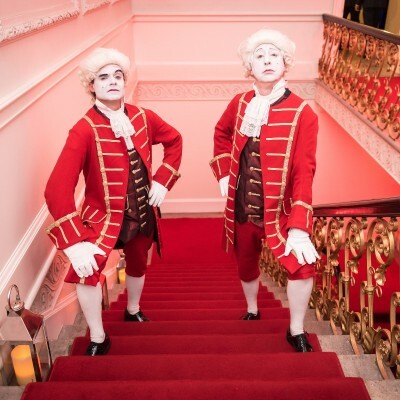 Guests are welcomed into the classical splendour of Kent House Knightsbridge’s Marble Hall. 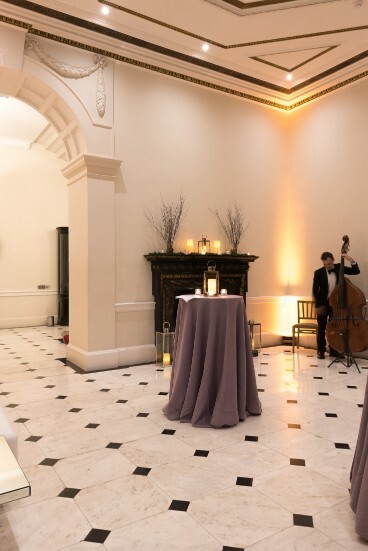 Suitable for receptions and formal greeting parties, the black and white marbled flooring is complemented by impressively high ceilings and contemporary lighting. 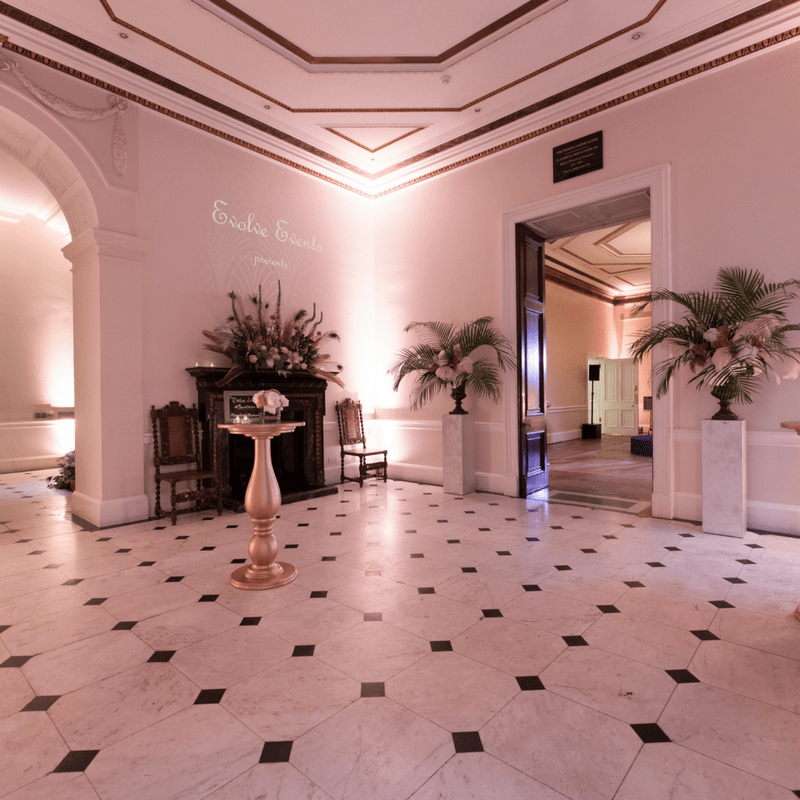 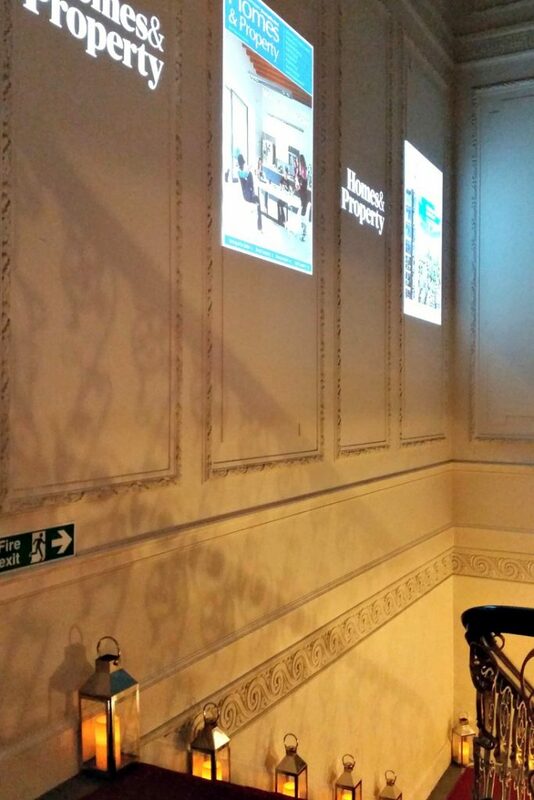 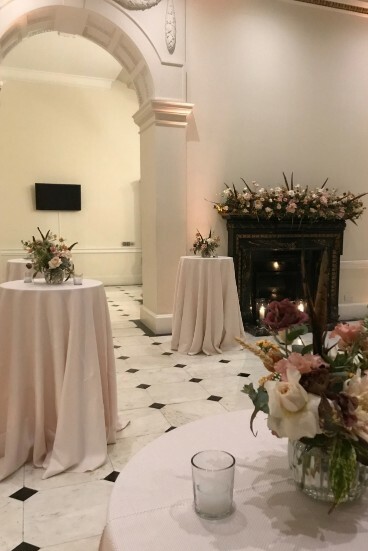 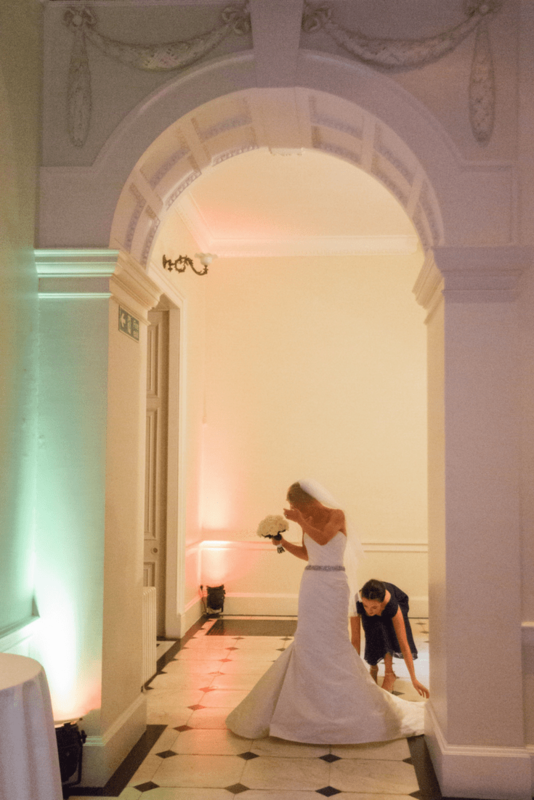 This space is very popular for drinks receptions or to greet and register guests for a more formal event. 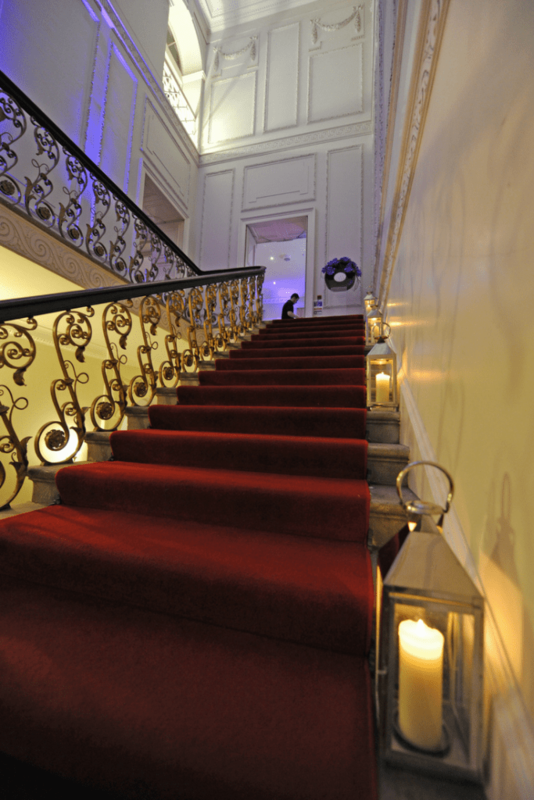 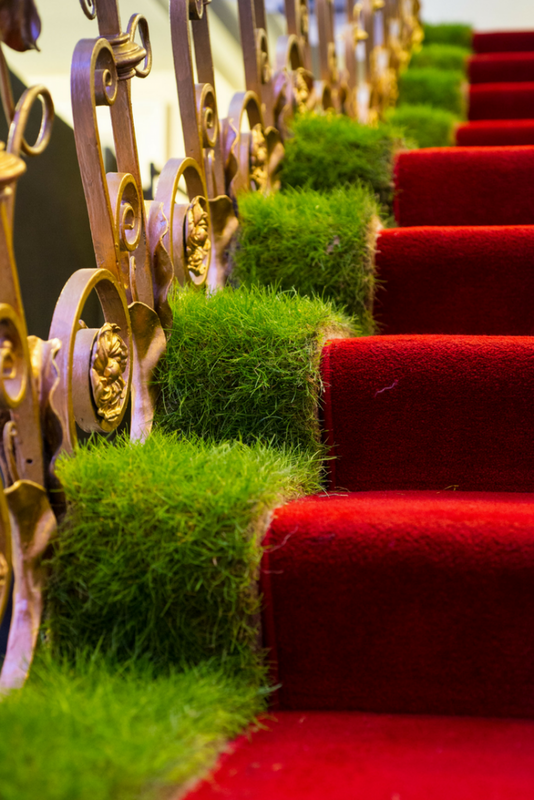 The red carpeted staircase is one of the most striking features of the House and for the evening is often lit with lanterns. 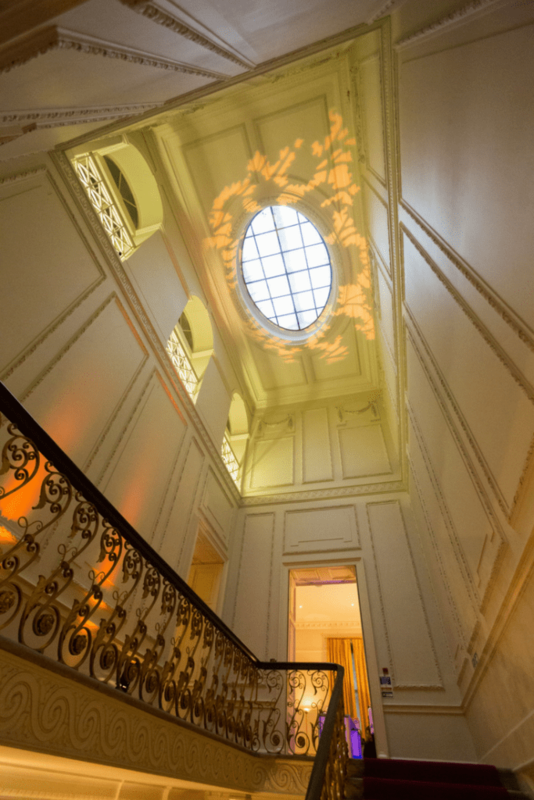 It opens out into a stunning atrium, flooding the building with natural daylight during the day and mood lighting by night. 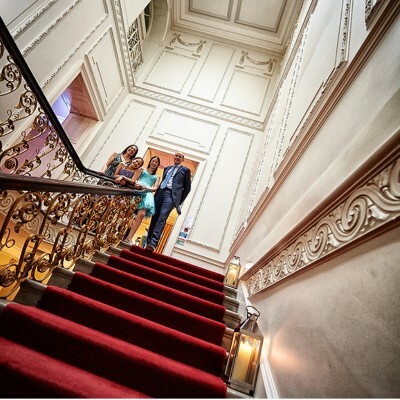 It is has been featured in many photographs of events at the venue as it makes a dramatic backdrop for group images.